Put simply, stock market indicators are predictions that are supposed to give clues on future performance based on recent history of said performance. Whether these indicators are actually useful or based on fact is a matter of contention within the trading industry. 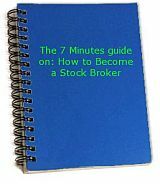 Generally, these indicators are supposed to clue you in to what the next season of stock trading will look like, but even the seemingly scientific indicators have some flaw that makes them unreliable. Below, we will look at a few stock market indicators to determine their reliability. One of the stock market indicators that many traders have come to rely on is the “first five days” indicator. The indicator simply says that the trend for the first five trading days of January is a reliable prediction of the market for the rest of the year. This indicator does have flawed logic, which makes its usefulness impossible to predict on any given day. The problem with this type of rationale is that rather than deriving answers from facts, it relies on speculation as a means to provide market predictors. Another problem with this indicator is that it doesn’t factor in years when the market has gone down during the first five days, but the year finished up. Relying on a method as arbitrary as this, makes as much sense as allowing your three year old to pick market indicators. Another, is the advance/decline method, which studies the cumulative effects of the stocks that are advancing as well as the stocks that are declining. Many believe that this is a reliable way to gauge the strength of the stock market. If you notice trends that indicate an overall advance in strength, that’s a reliable indicator that the market will continue to be favorable. Because this method is based on current trends of what’s actually going on within the market, it is much more reliable than indicators based on luck and superstition. Other indicators that base their findings on real life trends in the stock market are more reliable, but because the stock market can be unpredictable, there is no guaranteed predictor. However, a common useful predictor relies on the daily high-low differential ratio, which takes the daily number of 52-week highs and subtracts the 52-week lows and divide it by the total issues traded. This is believed to be a reliable, but even in this instance, it assumes that the market has a set path to follow. Using technical analysis such as this, to determine stock market indicators is more useful than superstition, but ultimately there is no real way to determine where the market is going other than as its happening. The volatile nature of the stock market forces people to seek answers where none are provided, but careful analysis of the market and any trends you notice are worth considering. As much as you can, let stock market indicators serve their purpose but don’t let them second-guess you as you stare down real time facts that aren’t in agreement with fatally flawed predictors.